To vote in Wisconsin you must first register to vote. You can start the registration process online at My Vote WI: myvote.wi.gov. You can also register in-person at your local municipal clerk's office, with a special registration deputy, or at the polling place on Election Day. You are registering to vote less than 20 days before Election Day. You may also vote in-person absentee by appointment, by calling 608-317-8695. In-person absentee voting begins no earlier than the 3rd Monday preceding an election, and no later than the Friday preceding an election. 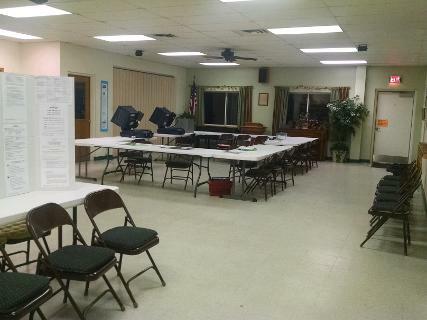 In-person absentee voting will take place at the home of the clerk. At myvote.wi.gov you can register to vote, check your voter registration status, find your polling place, see what's on your ballot, request an absentee ballot (military and permanent overseas voters only), and check provisional ballot status. If you reside within the Town of Durand and you are interested in becoming a poll worker, please contact Clerk Lisa Ridgeway, at 608-317-8695. Poll workers are paid an hourly wage of $10.00 per hour, including any training and election machine testing they attend.